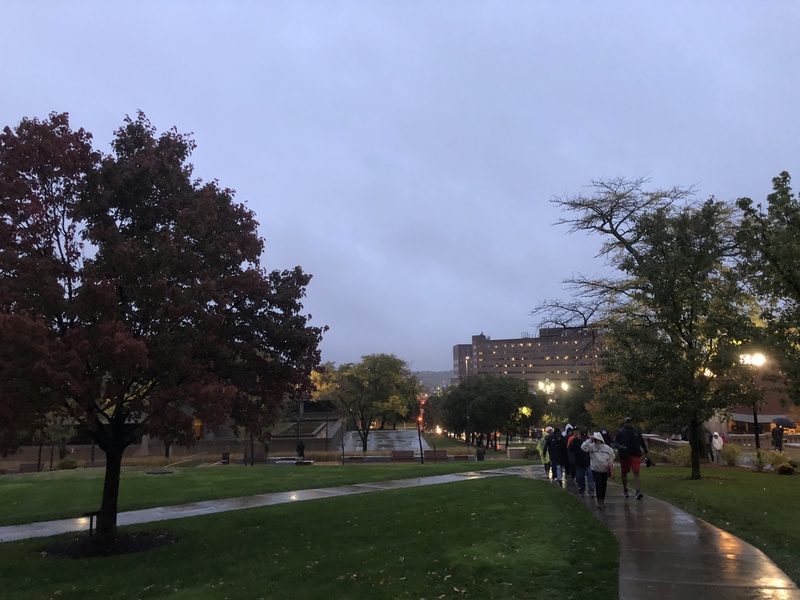 The march up the Syracuse University hill took a different aura for the 7 p.m. start for the Orange’s game against North Carolina State two weeks ago. The lighting looked cool going up. And the fans looked ambitious on the way to it all. I keep my senses ready, Beth. And phone camera. 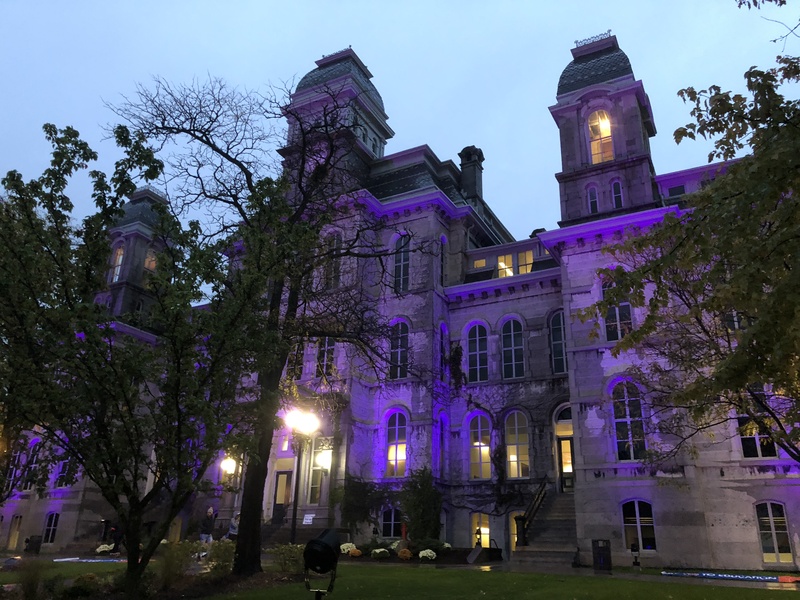 I love the SU campus at night! Game or no game, it’s magical. It has a great aura, yes, Lynn, but I don’t go up there much these days except for games. Oh I love that purpley look! It is the look we love, MBC!